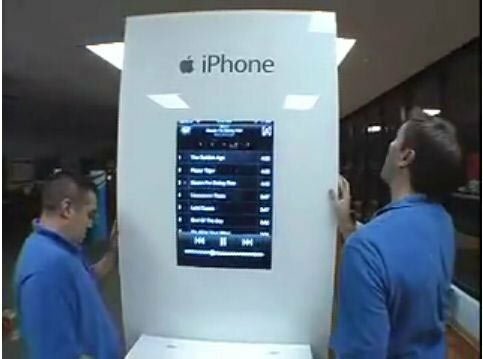 A video surfaced today showing off the iPhone kiosks that will be going into select AT&T stores for the June 29th launch. The kiosks feature a giant interactive version of the iPhone which shows off the user interface magnified for all to see. It’s not clear to me if the display will feature a multi-touch display like the actual iPhone has, but it’s still pretty cool.